When Paula picks up her last passenger of the night, all she sees is a few more dollars to put toward her husband's medical bills. That's before she recognizes the quiet stranger in her back seat as a world-famous musician and realizes the woman waiting at his destination is not his equally famous wife. So, Paula does what any down-on-her-luck woman would do. She asks for money in exchange for silence. 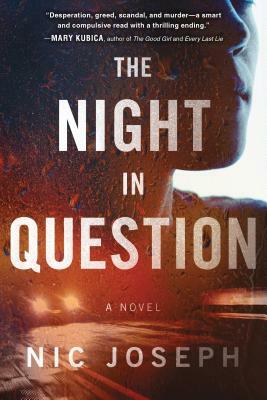 But when a woman is murdered in the same building days later, Paula discovers she is the only witness to the secret affair--an affair that incriminates the musician. Now, Paula's silence comes at a much more dangerous price.